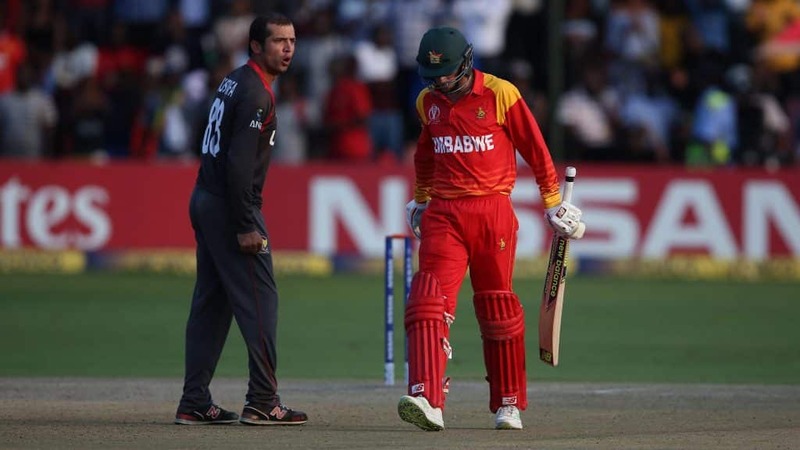 After Zimbabwe lost to the UAE by just four runs in March 2018 at the Harare Sports Club, Sean Williams said, ‘this defeat will haunt us for a very long time’. It’s been one year since our World Cup hopes were shattered by the UAE in the same venue that will host all the four One Day Internationals starting on the 10th of April. After we signed the UAE death certificate and buried the past, they have lost 11 One Day Internationals on the trot, 5 nil home whitewash by Pakistan, 3 nil whitewash away to neighbours South Africa and 3 nil whitewash in Bangladesh. However, there was some relief when Zimbabwe tamed the tigers of Bangladesh by winning the 1st Test in the then ‘virgin’ Sylhet to stun the world of Cricket. Following the just concluded Zimbabwe domestic season, there were so many rewarding call ups to the 27 men training squad ahead of this series. Ainsley Ndlovu, Charles Kunje and Tony Munyonga are the players who were patiently waiting to be awarded a debut after their immense contributions in the domestic circuit. It has been confirmed that both Brendan Taylor who got injured whilst playing in the Pakistan Super League and captain Hamilton Masakadza who still has plaster in his hand will miss the UAE series. Zimbabwe 16-man Squad against UAE: Peter Moor (capt), Solomon Mire, Brian Chari, Regis Chakabva, Sean Williams, Timycen Maruma, Sikandar Raza, Donald Tiripano, Kyle Jarvis, Tendai Chatara, Chris Mpofu, Craig Ervine, Brandon Mavuta, Ainsley Ndlovu, Tony Munyonga, Elton Chigumbura. Apart from the above, Zimbabwe has been facing diverse challenges which even got worse following the recent devastating Cyclone Idai that exterminated and banished many lives. The Zimbabwe Cricket responded promptly by putting together some food and clothing items that were dispatched to the affected areas. Players like Sikandar Raza, Brendan Taylor and Peter Moor have since bought 50 tickets for each game for which proceeds will be given towards the Cyclone victims – a gesture that has been recommended by the cricketing world. Adding to the above, proceeds from the 3rd ODI which is on the 14th of April will be channelled towards Cyclone Idai victims. A series win against UAE will surely be dedicated to cyclone victims and bring some form of joy to the lousy nation. After this series, Zimbabwe travels to the Netherlands and Ireland in June for limited overs series as they try to play as much international cricket as they can since they are not going to the world cup. Initially, Afghanistan was currently supposed to be in the country for a 5 day ODI series but the tour was cancelled following disagreements in televising the games.